Heat oven to 425°F. Place paper baking cups in 12 regular-size muffin cups. In medium bowl, stir together muffin mix, water, oil and eggs until blended (batter will be lumpy). Stir in maple flavor until blended. Divide batter evenly among muffin cups. In resealable plastic bag, coarsely crush 1 cup of the cereal. In small bowl, mix crushed cereal, streusel topping from muffin-mix box and melted butter. Divide evenly on top of batter in muffin cups. Bake 15 to 20 minutes or until golden brown. Cool in pan 5 minutes. Carefully remove from muffin cups to cooling rack. Serve warm or cool. 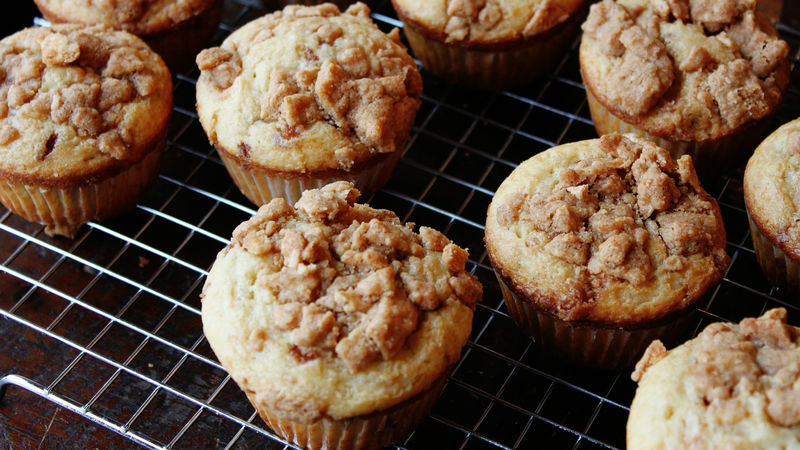 Use an ice cream scoop or cookie scoop to easily fill muffin cups with batter.